You’ve never seen Thor like this. Or Captain America. Or storm troopers. Or Halo Kitty. Think you’re too old to play with toys? Photographer JD Hancock would disagree. This is a sample of his work that shows you’re never to old to for some good pun fun. Join the conversation! 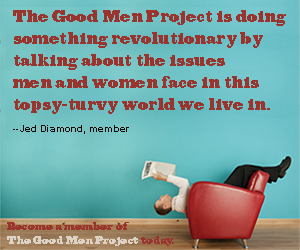 Follow The Good Men Project of Twitter @goodmenproject.com. Get our best every day, right to your inbox! Join our mailing list here.